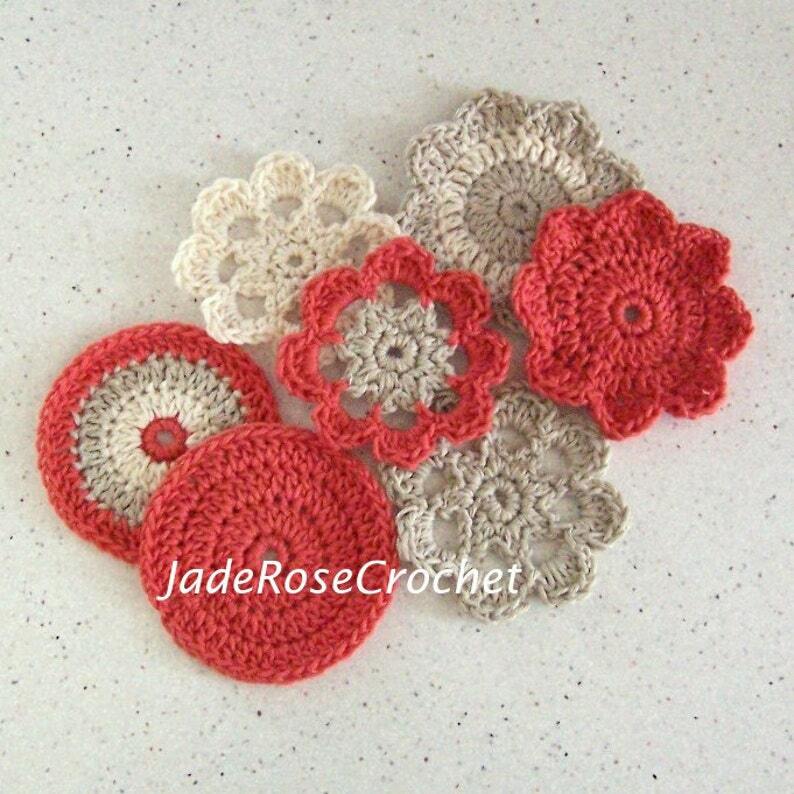 All you need is knowledge of basic crochet for this fun and easy flower crochet coaster pattern. You can whip up a set for a shower gift or for your next party in one afternoon. Pattern includes 2 flower patterns with color variations and a bonus plain round one, also with color variations. Finished size is approximately 4 inches(10 cm) if you use cotton yarn requiring a crochet hook size H.
"Great pattern. Easy to read instructions. Thank you." "An easy-to-follow pattern and so cute. Thanks!" Great for using left over yarn! Items made from this pattern may be sold as long as credit for the design is given to JadeRoseCrochet. Love the set, can't crochet? Contact me for a custom order. Very nice pattern, thank you! Great pattern, easy to follow.